Maybe it’s hyperbole, but it seems like we’re living in some kind of comedy golden age. Look at the evidence: numerous funny, envelope-pushing shows on the television, a slew of entertaining podcasts, our colleagues at The Onion and Onion News Network killing it on a daily basis, and a bounty of strong comedy albums released this year, including a couple that have the makings of future classics. The A.V. Club sifted through 2010’s releases to praise our favorites from the year. 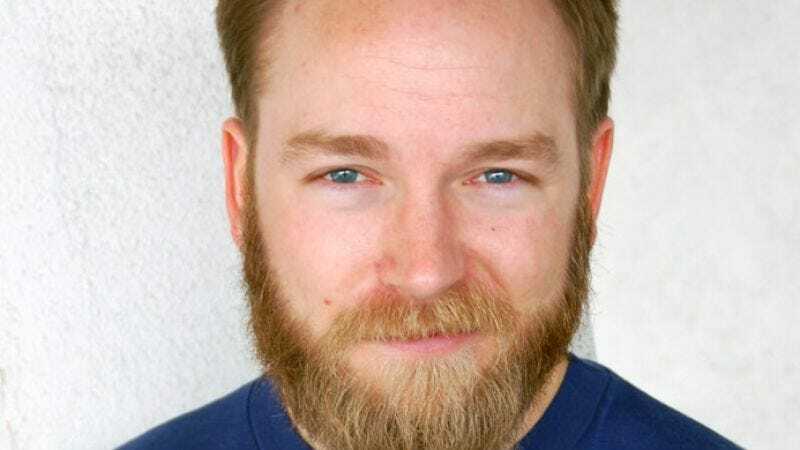 The London Evening Standard once dismissed Kyle Kinane as “bleak and misanthropic,” but that’s exactly what makes him so funny—and reminiscent of another great misanthrope, Louis C.K. The weariness in his voice complements his constant bafflement over the state of his life and the world in general. Kinane excels at spinning the most soul-crushing experiences—check out the track about his job selling gourmet cake decorations—into funny stories. Boring day jobs are hardly new topics for comics, but Kinane finds a thread—wasting time online—that he follows to an unexpected punch line. “After five hours just looking at Huey Lewis and Huey Lewis-related videos on YouTube, you just push yourself away from your desk on your rolling office chair and yell out, ‘Am I alive? !’” Death Of The Party is full of similar gems and bodes well for whatever Kinane does next. Released in early December of 2009, Tompkins’ second album missed the window for best-of consideration last year, but attention must be paid: Freak Wharf is a hilarious portrait of a comedian at the peak of his powers. The 15 minutes of riffing that open the album, the inspired bit about Go Ask Alice, and the story about aggressive dogs in his building all show Tompkins on a roll professionally. His stand-up has shifted into more personal territory since he recorded Freak Wharf—see his latest Comedy Central special for a long, funny story about his mother’s death—so the album captures Tompkins in a transitional phase, which should make anticipation for his next album even greater. Although topics like air travel, rap videos, and video games are familiar comedic fodder, Hannibal Buress’ bone-dry delivery and ability to take expected topics in unexpected directions give his material new life. His occasional forays into the absurd—such as his wish for prosthetic metal arms or an Olympic pigeon-kicking competition—come with the same laid-back, conversational approach, making musings on buying a white baby while high in Amsterdam seem as relatable as jokes about his precocious niece and nephew. Buress also frequently comments on his own material, giving the audience another window into his affable yet slightly skewed comedic sensibility. Jeselnik’s freshman album radiates the confidence of an experienced veteran. He jokes about the most inappropriate things—treating his girlfriend terribly and sexually harassing his coworkers—with such casualness that it’s off-putting a few minutes in. But Jeselnik slowly builds the absurdity throughout Shakespeare; by the end, he’s crafted the kind of stage persona that can get away with being that offensive, and his acute writing sells every premise. His brief lines pack a wallop—and they’re peppered with self-aware asides about how great Jeselnik is doing. “I bet you’re starting to notice a trend,” he says after a few tenuously related bits. “These are all really great jokes.” The bravado helps Shakespeare come together in the end, a testament to Jeselnik’s faith in his writing and spot-on delivery. By the time Aziz Ansari got around to recording a stand-up album, most of its tracks were miles beyond road-tested—hell, a longer take on Intimate Moments For A Sensual Evening’s “Something Cool To Say To M.I.A.” already appeared on 2005’s Invite Them Up compilation. Of course, the end of that original version involves Ansari finding himself alone with his tears and his “favorite Shins songs”; on Intimate Moments For A Sensual Evening, he moves from failing to woo the British MC to hanging out with Kanye West. That’s fitting, because comparing Ansari’s past performances to his debut CD/DVD is like lining up a Shins single next to a West banger: Both are tightly constructed and somewhat self-conscious, but only the latter possesses the swagger, crackling energy, and anecdotes about watching R. Kelly pretend to ejaculate on his entire audience.